About "Constant rates of change"
A rate of change is a rate that describes how one quantity changes in relation to another quantity. Constant rate is also called as uniform rate which involves something travelling at fixed and steady pace or else moving at some average speed. For example, A car travels 3 hours. It travels 30 miles in the first hour, 45 miles in the second hour and 75 miles in the third hour. We have three different speeds in the three hour journey. If we want to find the constant rate for the whole journey of three hours, we have to find the ratio between the total distance covered and total time taken. 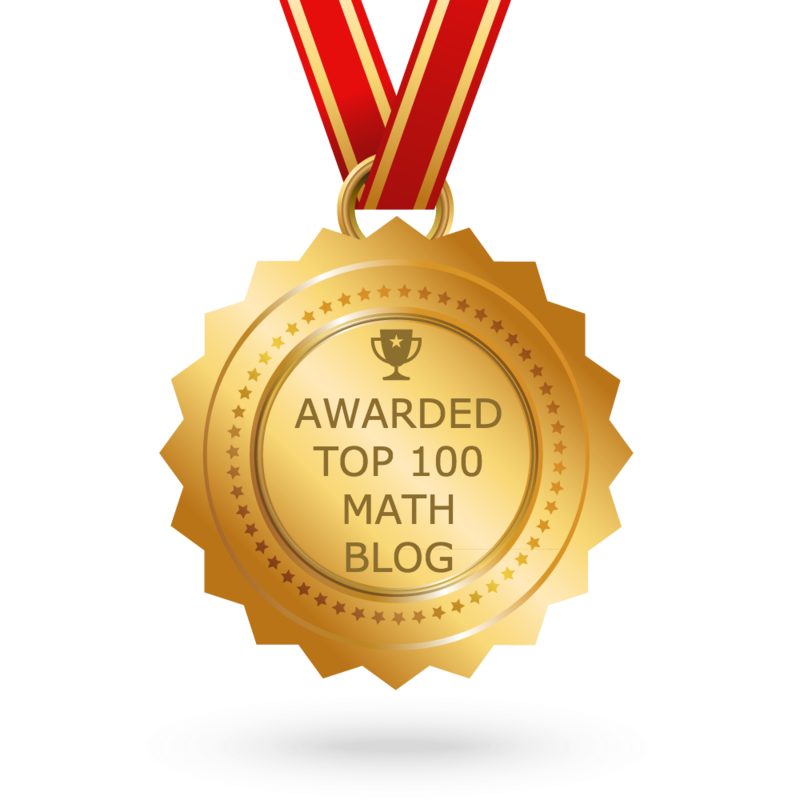 Based on the above example, the formula is to find the constant speed is given below. If a person travels from A to B at some speed, say "x" miles per hour. He comes back from B to A at different speed, say "y" miles per hour. Both the ways, he covers the same distance, but at different speeds. Then, the formula is to find the constant speed for the whole journey is given below. David drove for 3 hours at a rate of 50 miles per hour, for 2 hours at 60 miles per hour and for 4 hours at a rate of 70 miles per hour. What was his constant-speed for the whole journey ? 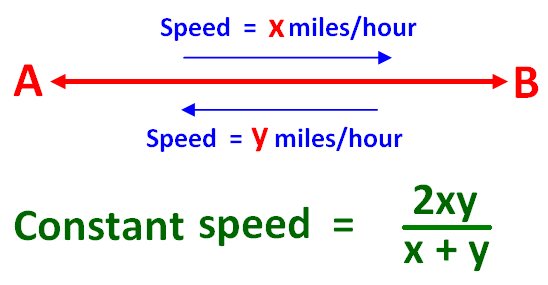 Formula for constant-speed = Total distance / Total time taken. Hence, the constant speed for the whole journey is 62 miles per hour. Let us look at the next example on "Constant rates of change"
A person travels from Newyork to Washington at the rate of 45 miles per hour and comes backs to the Newyork at the rate of 55 miles per hour. What is his constant-speed for the whole journey ? Here, both the ways, he covers the same distance. Hence, the constant speed for the whole journey is 45 miles per hour. A man takes 10 hours to go to a place and come back by walking both the ways. He could have gained 2 hours by riding both the ways. The distance covered in the whole journey is 18 miles. Find the constant-speed for the whole journey if he goes by walking and comes back by riding. Hence, the required constant speed is 2 miles per hour. David travels from the place A to place B at a certain speed. When he comes back from place B to place A, he increases his speed 2 times. If the constant-speed for the whole journey is 80 miles per hour, find his speed when he travels from the place A to B. Let "a" be the speed from place A to B. Hence, the speed from place A to B is 60 miles per hour. Kemka is preparing 20 cups of apple juice in the first 4 minutes and 60 cups in the next 12 minutes. How many cups does she prepare per minute ? Hence, Kemka prepares 5 cups of apple juice per minutes. We hope that the students would have understood the stuff given on "Constant rates of change"
Apart from the stuff given above, if you want to know more about "Constant rates of change", please click here.